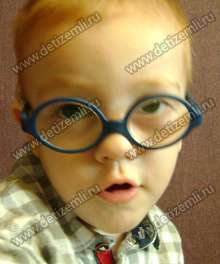 In 2 months Matvey was operated in Kaluga branch of «MNTK» Fedorov for retinopathy of prematurity. At the age of 5 months my son was diagnosed with cerebral palsy, spastic tetraparesis, hearing loss of 4 degrees, motor function delay. Matvey wears a hearing aid because he has hearing loss and is on the waiting list for a quota for cochlear implant surgery. Matvey currently has an urgent need for treatment which costs 80,000 rubles. Help a sick child! Paid 80,000 rubles for treatment of Matvey. Charitable Foundation for Children «Children of the Earth» has paid the cost of treatment of Matvey (80,000 rubles). Thank you all for your help! Charitable Foundation for children «Children of the Earth» asks to help a sick child. The cost of treatment is 80,000 rubles. The boy has a congenital disease. Help Matvey live a normal life!